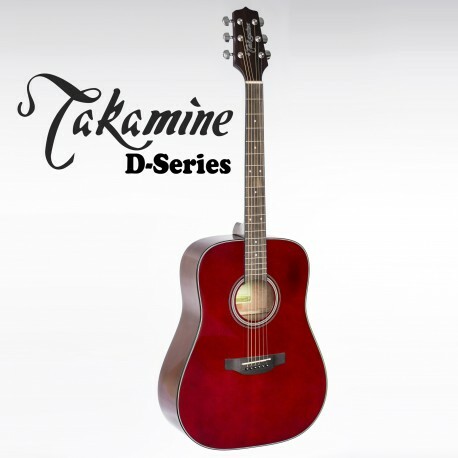 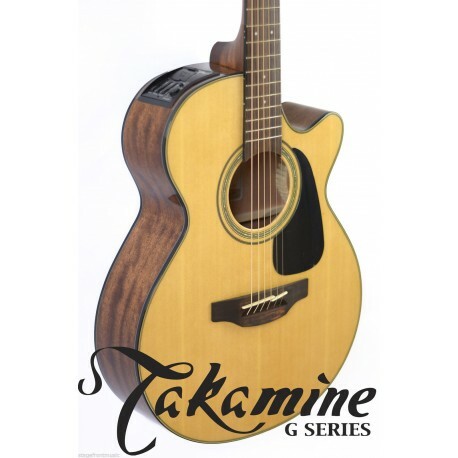 Takamines' stylish P5DCWB cutaway combines tradition with contemporary refinements, including a resonant solid spruce top with scalloped top bracing for superior clarity and projection, and a solid rosewood back with rosewood sides for a rich, warm sound. 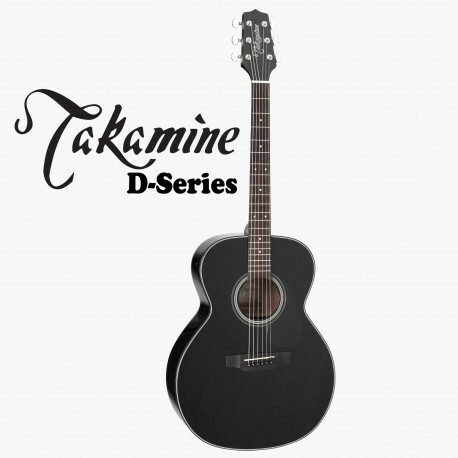 Built with the performer in mind, the P5DCWB features Takamine's CTP-3 CoolTube pickup. 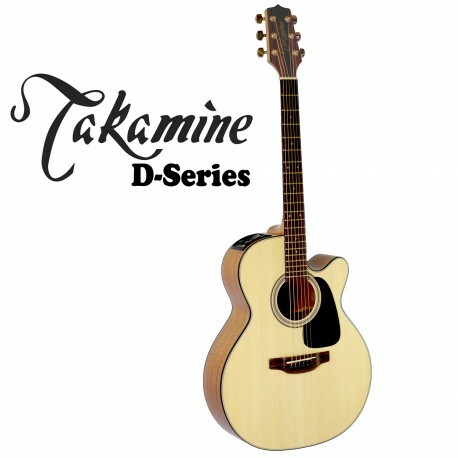 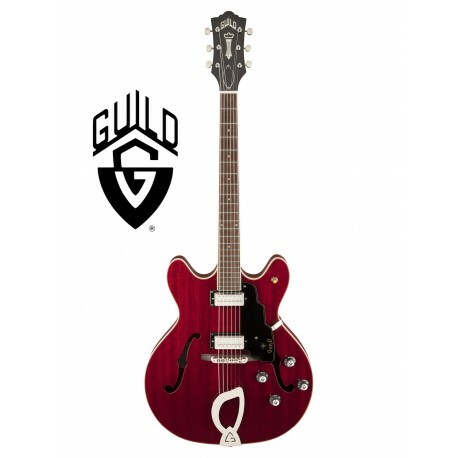 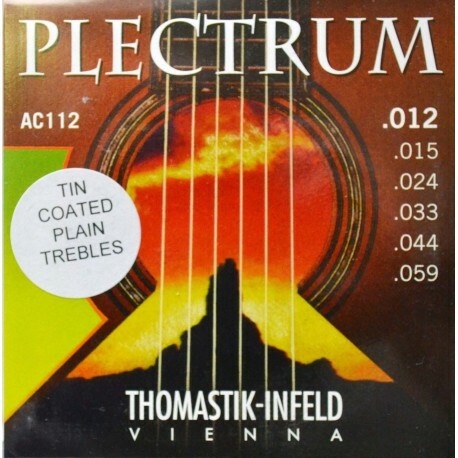 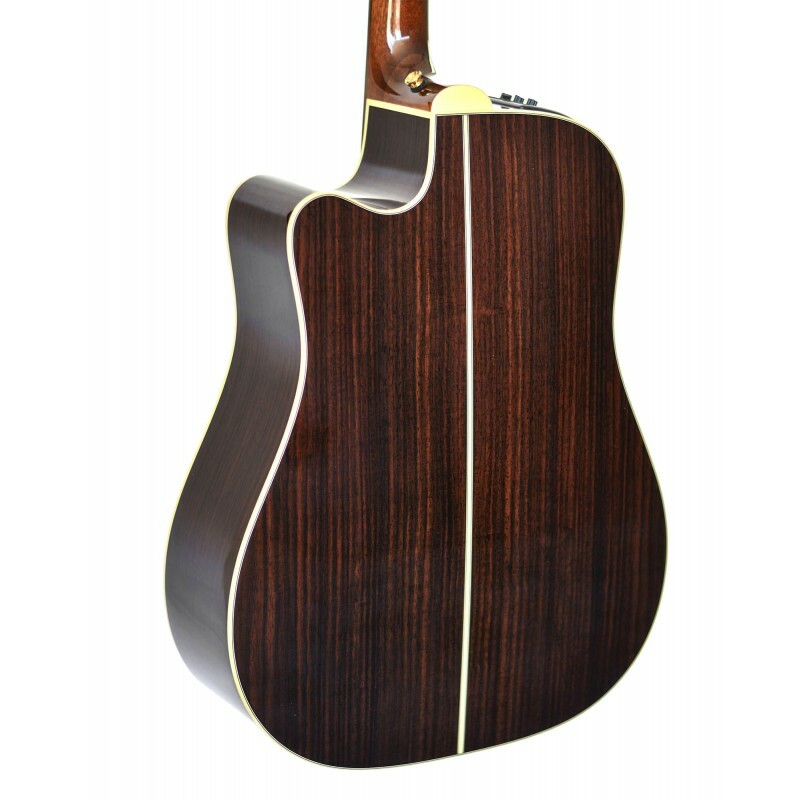 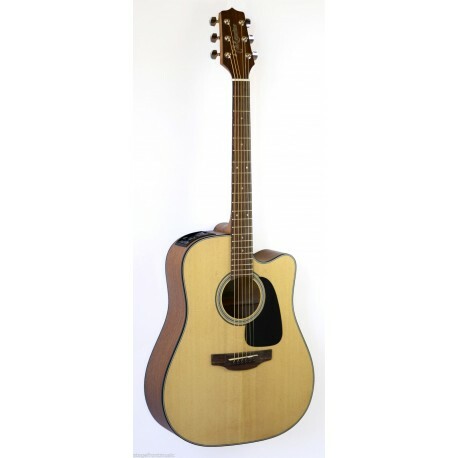 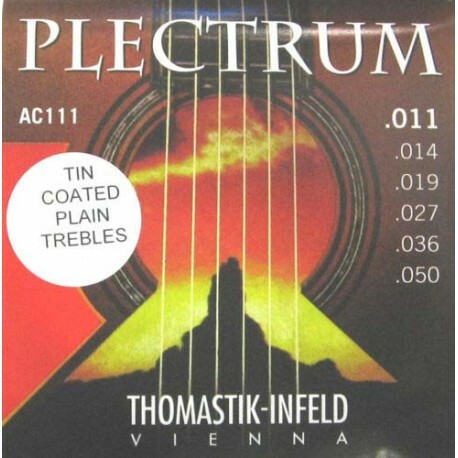 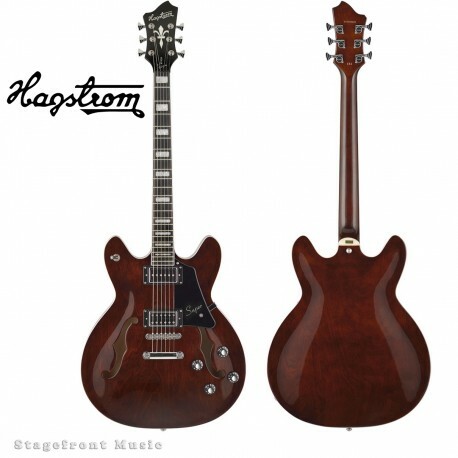 Other performance-enhancing features include a convenient Venetian cutaway for easy access to the upper reaches of the fingerboard, and Takamine's asymmetrical neck profile which is slightly thinner on the bass side so that it fits the natural shape of your hand, resulting in a comfortable feel and improved playability. 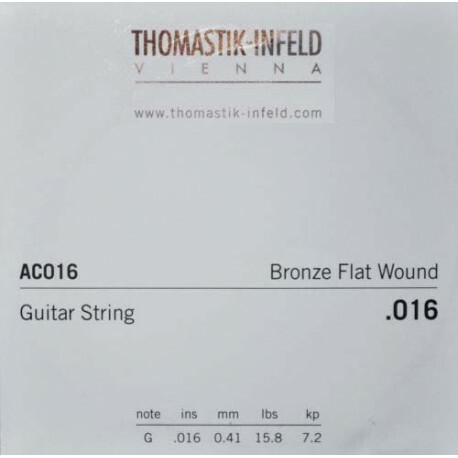 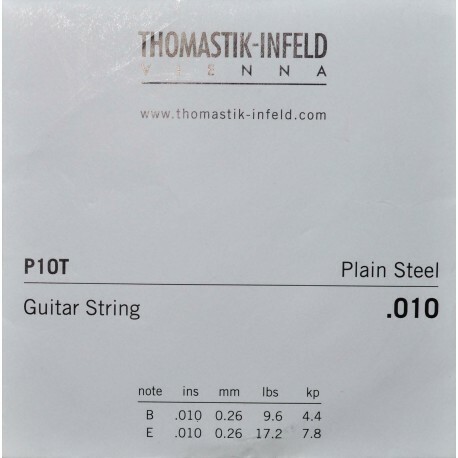 The split bone saddle provides more accurate intonation, while bridge pin positioning optimizes the break angle to improve sustain and presence. 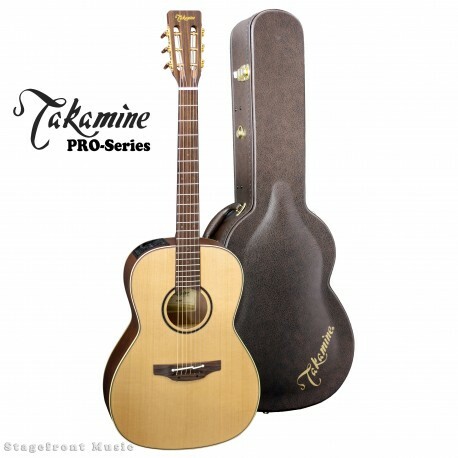 Premium design appointments include elegant ivory body binding with dark wood purfling, an abalone rosette, a rosewood fingerboard with abalone "dot-in-dot" inlays, a rosewood headcap, gold tuners with gold buttons, a natural bone nut and gloss natural finish. 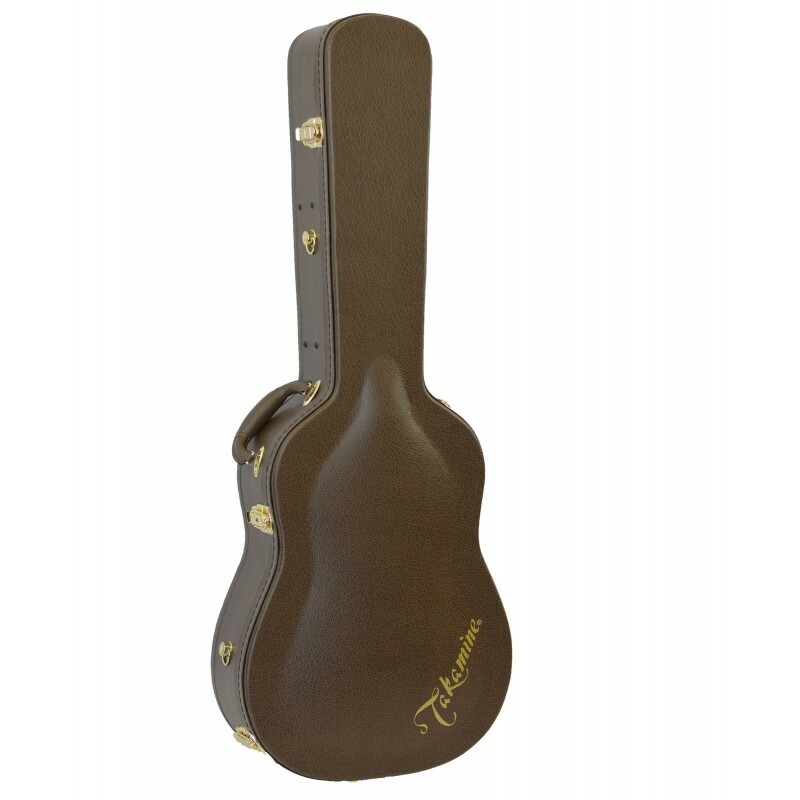 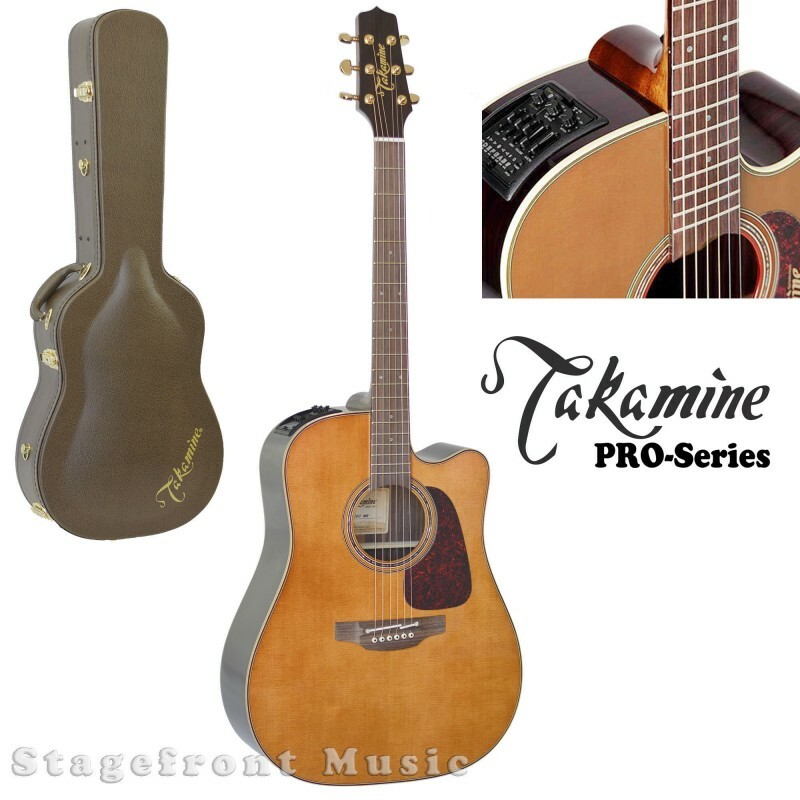 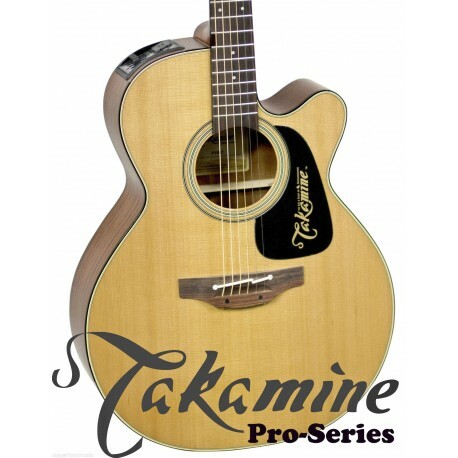 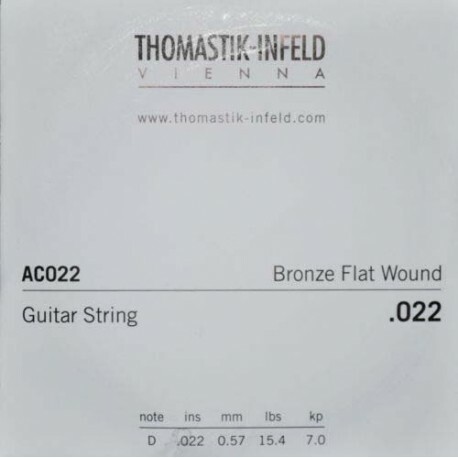 Comes with Deluxe "Takamine" branded Archtop Hard case. 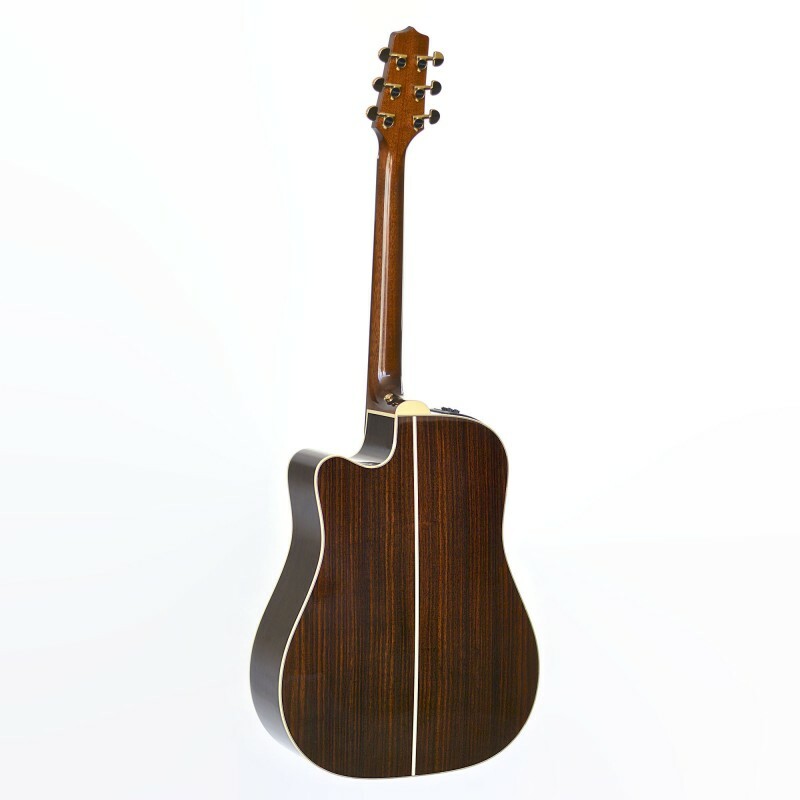 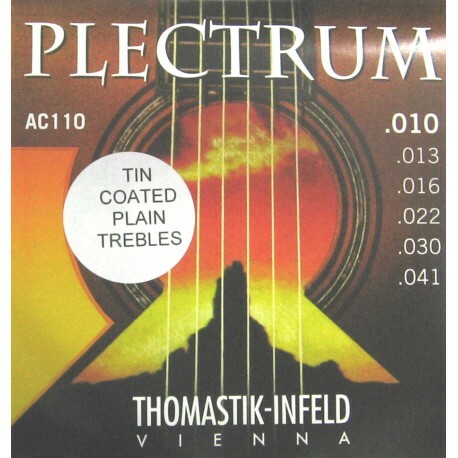 The CTP-3 CoolTube, the first and only onboard tube preamp for acoustic guitar, produces a rich, full sound. 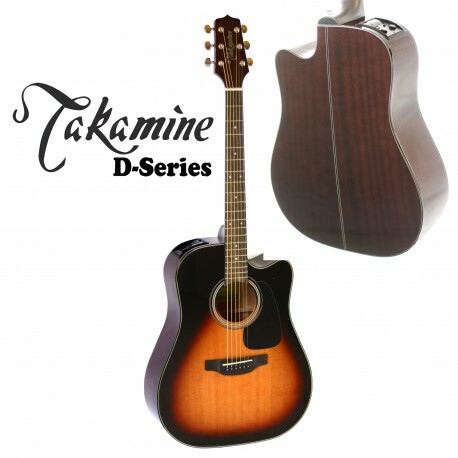 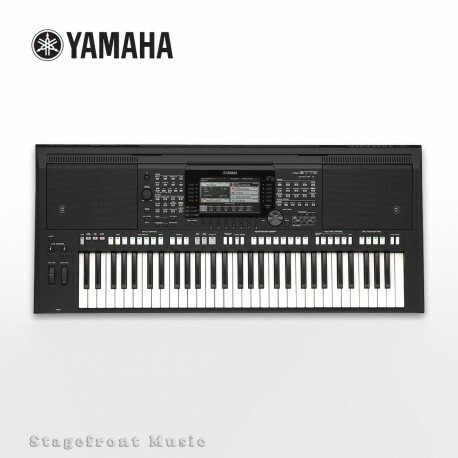 It takes its name from innovative Takamine™ technology that runs its 12AU7 dual-triode vacuum tube at very low voltages—so low that it stays cool to the touch—with variable tube tone that can be adjusted from bright and brilliant to thick and warm. 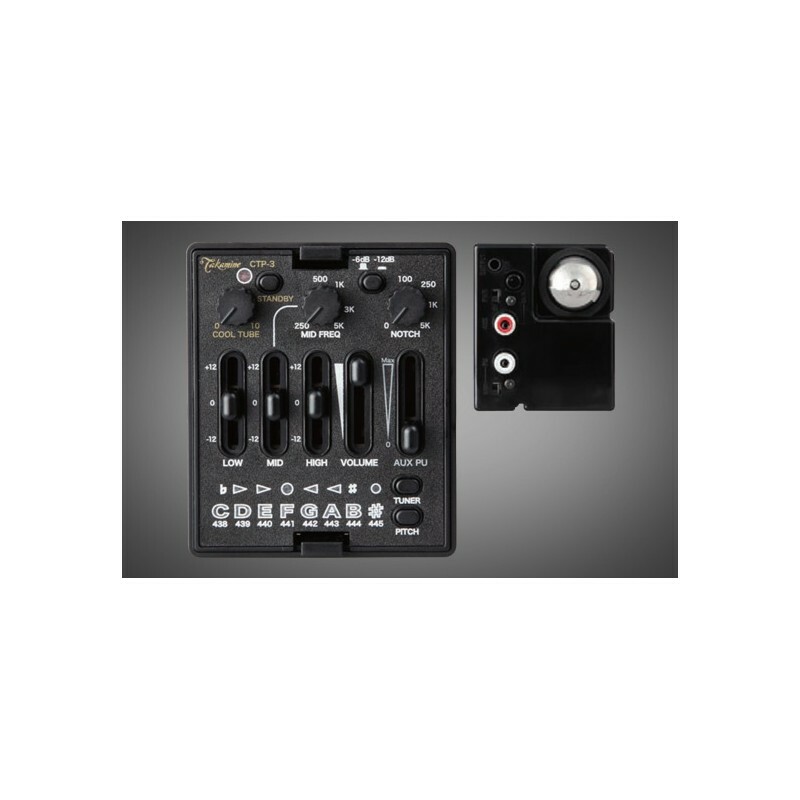 The full-range EQ section uses shelving filters to sculpt bass and treble frequencies, with semi-parametric shaping control over the midrange. 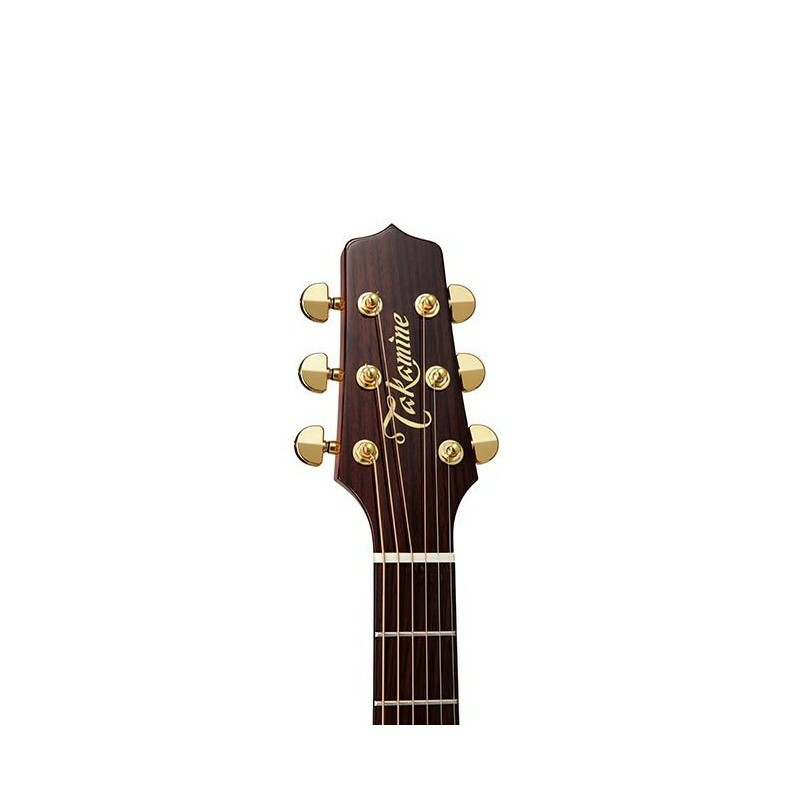 A control knob adjusts the frequency from 250Hz to 5kHz, and a pinpoint-precise onboard chromatic tuner is standard equipment. 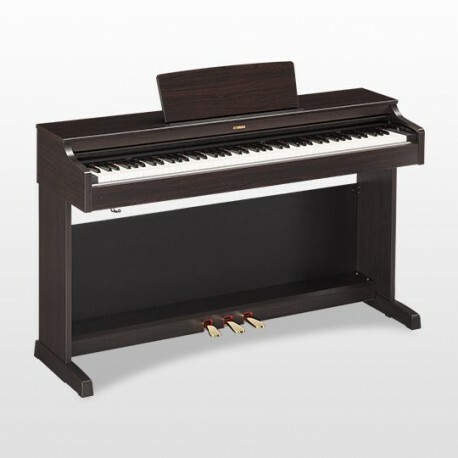 Other features include Mid and High cut switches for a second pickup.